Posted on May 24, 2013 by Ricardo A. Hernandez Jr. Inspired by Daniel Miller’s novel, The Comfort of Things, Ricardo Hernandez interviewed 16 college students at SUNY New Paltz. He asked them about a personal object they brought to college with them. In these emotional and thoughtful interviews, students share touching stories, family histories and tear-jerking pasts. This Monday, we will learn about objects and movies. Sue and Anne will start off the lesson with a discussion about movies as objects – how movies themselves may have numerous objects within them, but they also function on their own as objects as well. So much of what movies are composed of is heavily influenced by the creators of the movie who decide the purpose, intent, and more. Movies can be objects used for entertainment, as well as manipulation and propaganda, as well as economic advancement! Then, we will flip the switch, and move on to discuss on how objects themselves are used within a movie to imply (as in a movie poster) its genre. We’ll ask a question to get our brains thinking: when we think of the two movie genres of romance and horror, what objects come to mind? What objects are usually shown in a “RomCom” or scary movie? What emotions are evoked by such objects, and why do you think movie makers incorporate them into the movies? We will write all of these objects on the white board, and follow this activity up with materialized evidence of our findings through a study of objects commonly shown in real movie posters for these genres. Genres largely have to do with the emotions an audience is meant to feel while watching a film, and a study of the objects within horror and romance film posters will evoke how objects can be inextricably tied in with the emotions of fear and love. 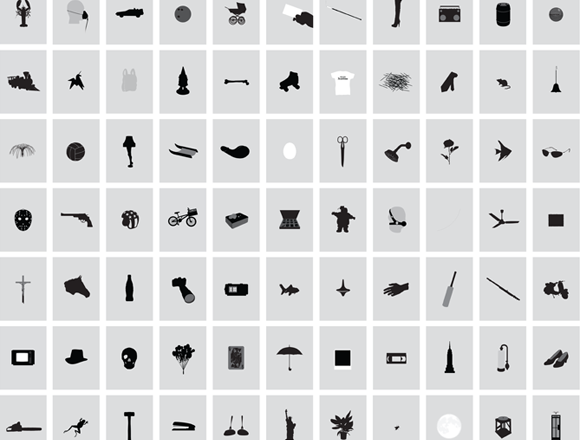 What do these objects mean – are they iconic? Are they timeless? How do they contribute to these films and their respective legacies and followings? What memories, emotions, scenarios, and thoughts are evoked by looking at these objects, and do they directly correlate with each movie’s legacy? Are these objects quite possibly what can make a movie timeless and recognizable across generations? In short, do these objects help immortalize the film? If so, it is confirmed that some of the film industry is indebted to objects. Be sure to keep in mind the intent of the director. Does this affect the significance and meaning placed upon the objects of movies? 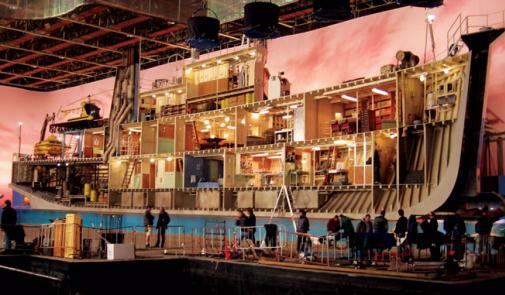 In the second half of our lesson, we will present a movie director that is famous for his utilization of materials within his movies: Wes Anderson. To illustrate Anderson’s style, we’ll show a short spoofy clip that filters Star Wars through an Anderson lens. The style of the Star Wars movies is very well-known; through presenting an Anderson Star Wars, we will dip our toes into his emphasis on objects and how he uses them to make his movies. We will then watch clips of Moonrise Kingdom (2012) and The Royal Tenenbaums (2001) and ask the class how Anderson is using objects to explicate themes and define characters. This article published in The Journal of Aesthetics and Criticism presents movies to us as artworks. Fox gives us insight on the purpose and various ways people make use of films. The article also compares movies with art and it explains why movies are so popular to everyday citizens. Unfortunately, Wes Anderson does not have a Twitter account, but this clever page has successfully merged all of his witty movie quotes into one twitter account that illustrates his pithy style that can go hand-in-hand with the creative ways in which he utilizes objects. 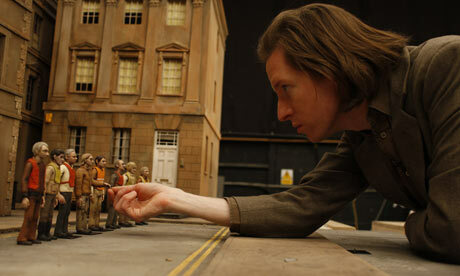 “The World of Wes Anderson”: an entire website devoted to the study of Wes Anderson. in which visitors can find screenplays, reviews, a radio station dedicated to playing Anderson soundtrack songs, blog posts on the filmmaker, and more. Pages 163-166 of this book, accessible through the STL Ebrary, contain an essay entitled “Melancholy Objects, Out of Place” that concentrates on the way in which Anderson applies his characteristic style of arranging objects to his film plots and character development. We recently gave a team-taught lesson on architecture and urban culture. Here is a brief summary of what our lesson entailed! For the majority of this semester, we have focused on small objects that have a large impact on our lives: memorabilia, heirlooms, talismans, and trinkets, to name a few. For our team teaching lesson, we questioned the way that large objects, namely buildings and furniture, have a subtle but meaningful impact on our life and our perception of different cultures. Firstly, architecture is a means of capturing history: through architecture and urban planning, one might discover in what climate a culture is situated, the development of their artistic movements, the prevalence of religion to their people, whether or not they constituted a democracy or a monarchy, or by what other cultures their were colonized. Secondly, as architecture continues to develop, it gives the people a means to change how others perceive their culture. Because architecture is a form of artistic expression, people have the ability to incorporate their traditional values with their aspirations for the future. We looked at an example of this development in the article on the architecture program in Dubai, most notably the example of the young woman who built a modern chair for the purpose of helping her mother fulfill her Muslim prayer duties. Thirdly, we looked at how Dubai enormously has expanded over the last two decades. We discussed how the American material culture might have influenced their development as Dubai strives to make “the best of the best”: 7 star hotels, the tallest building in the world, underwater hotels, and man-made islands in the shape of palm trees. These ideas sparked discussion about culture shock, shifting views of materialism between cultures, and the human reaction to environment (both natural and urban). We then looked at urban culture through the lens of street photography, capturing peoples’ essences through how they express themselves. In particular, we explored the Humans of New York project. Photographer Brandon Stanton roams the streets of New York City (as well as Boston and Tehran) to take pictures of people passing by that he finds interesting. Often, these photos represent people attempting to express originality in such a heavily diverse area. This is especially prevalent in their choice of dress or objects they carry, which relates to our studies in material culture. From there, we stepped back and looked at photography as a whole. In reading portions of Stephen Bull’s Photography, we were able to identify the issue of the physical, printed photograph being replaced with the digital representation. Photographs act as a vessel for memories, which are more easily discarded in the digital form, yet hard to part with when part of a limited supply of prints. This modernization of photos is just a one example of digitization’s role in material culture, that is, how physical objects are becoming replaced with digital representations. “Architectures of Control in the Built Environment.” Architectures. Dan Lockton, n.d. Web. 26 March 2013. This article provided the example of French urban planning and how it prevented riots after the French Revolution, proving how architecture and urban planning are indicative of a culture’s history. Bull, Stephen. Photography. Abingdon, Oxon: Routledge, 2010. Print. Explores the types of photography as well as the more-or-less “philosophy” behind many aspects of photography. In particular, the chapters we read talk about the materialization of print photos being replaced with the dematerialization of digital photos. The section on documentary photography talks about the theory behind the semiotics of objects when photographed. “The Center as Void: The Civic Realm and Chinese Tradition.” Projective Cities. Architectural Association Graduate School, 12 November 2012. Web. 26 March 2013. This website gave valuable insight into how architecture played a role in the protest at Tiananmen’s Square, China. The article provided a concrete example of the idea of disciplinary architecture discussed in Kreiger’s book and was relevant to previous class discussions of riot prevention measures. “Essential Architecture: Dubai.” Dubai-Architecture. n.p., 2009. Web. 26 March 2013. This website provided startling images about the designs projected for Dubai’s architectural development, starting in 1990 and continuing until 2009. The visuals were an essential companion to the other articles used because they captured the aspirational values of the culture and showed just how drastically architecture can alter the perception of a culture. Krieger, Alex & William S. Saunders. Urban Design. Minneapolis, MN: University of Minneapolis, 2009. Print. We used this source to discover more about the purpose of urban planning and to back our claim that cities develop based on cultural and societal needs. This book also lent strength to the examples of disciplinary architecture, demonstrating how society can use architecture as a method of controlling or freeing people. Sarnecky, William G. “Building a Material Culture in Dubai.” Journal of Architectural Education. 65.2 (2012): 80-88. Print. This article functioned as a main topic of discussion, tying small-scale objects (furniture) to large-scale objects and architecture. In this article, we see how architecture allows people to combine their artistic ability, traditional values, and state-of-the-art technology (such as 3D printers) to modernize their culture. The work of photographer Brandon Stanton, which focuses mostly on street portraits in New York City. The photos are often accompanied by anecdotes about the people he meets, which is an entertaining and often heartfelt combination.